By Peter Geoghegan and Jenna Corderoy – OpenDemocracy: The pace of the British government’s Brexit progress seems to be frustrating even the most enthusiastic supporters of life outside the European Union. 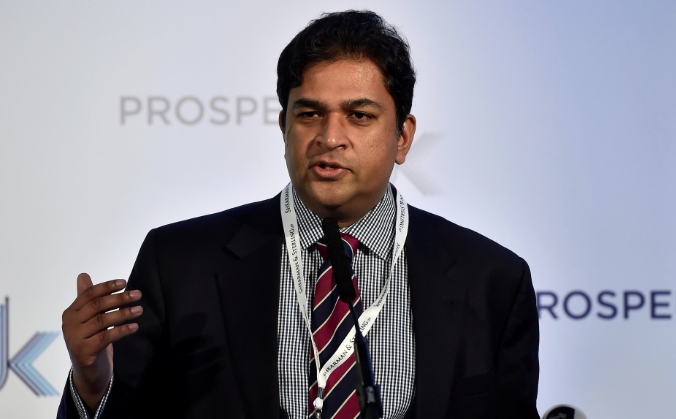 At an event in Glasgow last week, Shanker Singham, billed by the organisers as “one of the world’s leading trade lawyers”, complained that the UK’s “lack of clarity” over Brexit was causing “confusion”. But what he didn’t talk about was his own role in the middle of this muddle: Singham himself has continued to enjoy unrivalled access to Brexit ministers and officials. The trade advisor, whose work for the Legatum Institute has attracted significant media attention, had repeated private meetings with the highest official in the Department for Exiting the European Union (DexEU) according to new information released to openDemocracy. Singham, a former Washington lobbyist – who has been said to enjoy “unparalleled access” to senior government figures – left Legatum earlier this year to head up a new trade unit at the Institute of Economic Affairs. Earlier this month, the charity regulator ruled that Legatum’s Brexit work had ‘crossed the line’ and did not meet its charitable objectives. In March and May this year, just after he left Legatum, Singham met with Philip Rycroft, permanent secretary at the Department for Exiting the European Union. Both meetings took place at DExEU’s Whitehall offices. Data compiled by openDemocracy also shows that since the Brexit vote in June 2016, Singham has also had dozens of meetings with British government ministers including Boris Johnson, David Davis and Liam Fox. The meetings and events were either unminuted or information relating to them was withheld by government departments. Singham also had undeclared meetings with Brexit ministers. Former Labour minister Liam Byrne called for more transparency from government over Singham’s contact with ministers and senior officials. “It beggars belief that ministers and officials are spending hour after hour with Hard Brexit svengali, Shanker Singham. He may have ditched his Legatum badge but I suspect his views are as hard line as ever, and as bad for Britain as ever,” the MP said. Singham has also had extensive contact with Brexit trade minister Greg Hands. The pair met at least half a dozen times in the space of a few months at the end of last year. “I hope we can meet frequently and monthly is a good objective,” Hands wrote to Singham in October, according to emails obtained by openDemocracy. In December alone Singham had two meetings with Hands, two meetings with Rycroft from DExEU, and a meeting with Michael Gove and Antonia Romeo, a senior civil servant at Fox’s Department for International Trade. Singham is also very close to Brexit minister Steve Baker. An investigation by Buzzfeed found that Singham had multiple undeclared meetings with Baker, and former Legatum trade advisor Crawford Falconer, who now works at the Department of International Trade. These meetings were not recorded in official government transparency records. Documents released following Freedom of Information requests from openDemocracy show Singham had a one-on-one meeting with Philip Rycroft on March 13, just days after it was announced that he would be leaving the Legatum Institute to take over the trade unit at the Institute of Economic Affairs. On May 10, Singham met with Rycroft and Eoin Parker, director of market access and budget at DExEU. Singham, who argues that Britain needs to leave the single market and customs union to maximise opportunities outside the EU, has emerged as an unlikely trade voice for Brexiters. His name has been cited in Parliament and his trade papers held up as evidence that Britain should leave the customs union and single market. The recent proposal that the UK could create a ten-mile wide ‘buffer zone’ along the Irish border originated from a paper published by Singham and the Legatum Institute. Earlier this month, the Charity Commission ruled that Legatum’s work on Brexit “failed to meet the required standards of balance and neutrality”. A Legatum reported entitled, Brexit Inflection Point, did not present “balanced, neutral evidence and analysis” and was “not consistent” with the charity’s objectives to promote education, the regulator found. Former Charity Commission board member Andrew Purkis has said that the regulator’s ruling on Legatum also raised questions about the Singham’s new employers, the Institute of Economic Affairs. The IEA, which also has charitable status, also recently appointed Vote Leave donor Jon Moynihan to its board. The IEA has also hired Darren Grimes as its digital manager. Grimes, who had worked for Brexit Central, is subject of an Electoral Commission investigation in relation to a £675,000 donation from Vote Leave during the Brexit referendum. A judicial review into the Electoral Commission’s handling of Vote Leave spending is due to be heard on June 19. The Legatum Institute announced that it would be ending its Brexit work following public scrutiny of the think tank’s work and its funding. Christopher Chandler, Legatum’s main funder, has been the subject of extensive coverage with MPs alleging that the billionaire had links to Russian interests. Chandler, a former major shareholder in Gazprom, has strenuously denied all allegations.